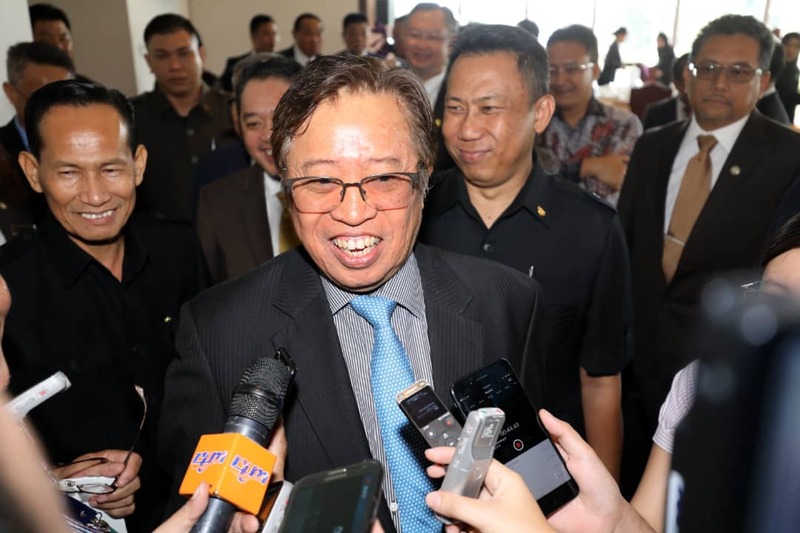 KUCHING: Chief Minister Datuk Patinggi Abang Johari Tun Openg said there was nothing discussed between him and president-elect of Parti Keadilan Rakyat (PKR) Datuk Seri Anwar Ibrahim when they met last Saturday. He indicated their meeting, held at his official residence here, was just a casual chat between both sides. “We did not discuss anything,” he said after witnessing the signing of memorandum of understanding (MoU) between Sarawak Economic Development Corporation (SEDC) and Foshan Feishi Automobile Manufacture Co Ltd China for the supply and delivery of hydrogen fuel cell buses today. Anwar, who was on a one-day visit to Sarawak last Saturday, paid a courtesy call on Abang Johari before attending a gathering of PKR supporters at a leading hotel here and then proceeded to Sibu for an official PKR dinner. The visit to Sarawak was his first after the 14th General Election and release from jail sentence. He had also met Yang Di-Pertua Negeri Tun Pehin Sri Abdul Taib Mahmud at Demak Jaya earlier that day. Anwar himself had told reporters that day, the meeting with Abang Johari was just a general discussion regarding the people’s interests. Meanwhile, when asked to comment on Anwar and other PKR leaders’ recent statements that PKR is confident of taking over Sarawak government in the next state election, Abang Johari said every party are now saying the same thing. “Let them say it. Every party would say they are confident of taking over Sarawak,” he added. Asked on Gabungan Parti Sarawak’s progress registration, he said it is now on track. “I will announce it when the registration (by Registrar of Societies) is complete,” he added.